I grew up in Trieste, in the north-east of Italy, between the Alps and the sea. 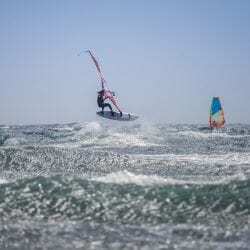 I started windsurfing because my whole family is addicted to it – every summer I’d travel with them to Greece to windsurf and I tried it a few times with the equipment of my parents. In the winter I used to ski a lot, as I lived near the Alps. I started when I was three and it was actually my first sport. It was only at sixteen that I windsurfed for the whole summer and I fell in love with it, it started giving a new meaning to my life. In the water I feel good and find my happy refuge. 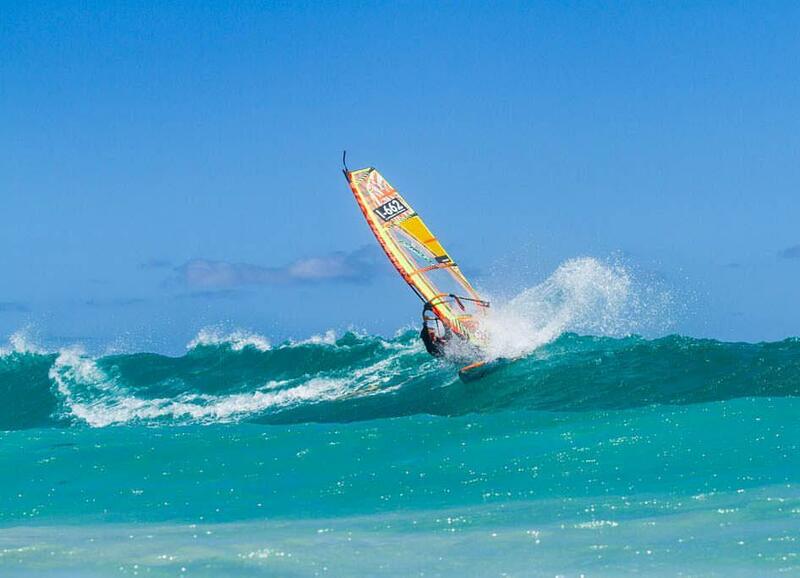 After that summer I decided to move to Gran Canaria for one year to train more in windsurf. Since then my life has changed and has always moved around windsurfing. 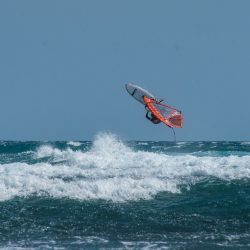 After a few summers in Pozo Izquierdo, I decided to try my skills in competitions, and 2014 was my debut on the World Tour. I scored a 5th place in Pozo Izquierdo and 11th in the final ranking. I got my first sponsors after the PWA and this motivated me a lot. In 2015 I finished 6th in Pozo and 9th in the final ranking. 2016 was not my best year competitions wise and finished 10th in the ranking, but I kept training and motivated to try to do better. I started SUP in the meanwhile as well, with the SUP race I can be in the water all the time, and can enjoy every condition. 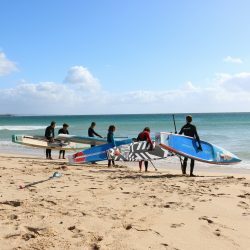 These last years I am balancing my life between windsurf and work and I spent the winter months in Cape Town and the summer in Canary Islands. I like competitions as I see them as a way to push your limits and improve, but I like much more things that competitions brings to me. The adventure, the sacrifice, the new friendships, the travels. It is definitely not easy to balance and combine everything with my job, and to always be far away from my best friends and family, but as long this will give me satisfaction, I will keep doing it with thrill and dedication. So I encourage you too to keep fighting, with strength, to fulfill your dreams! At the moment I live in Barcelona 5 months a year and keep travelling from one place to another, between Trieste, Gran Canaria, Lisbon and South Africa, trying to discover my favourite place for the future!